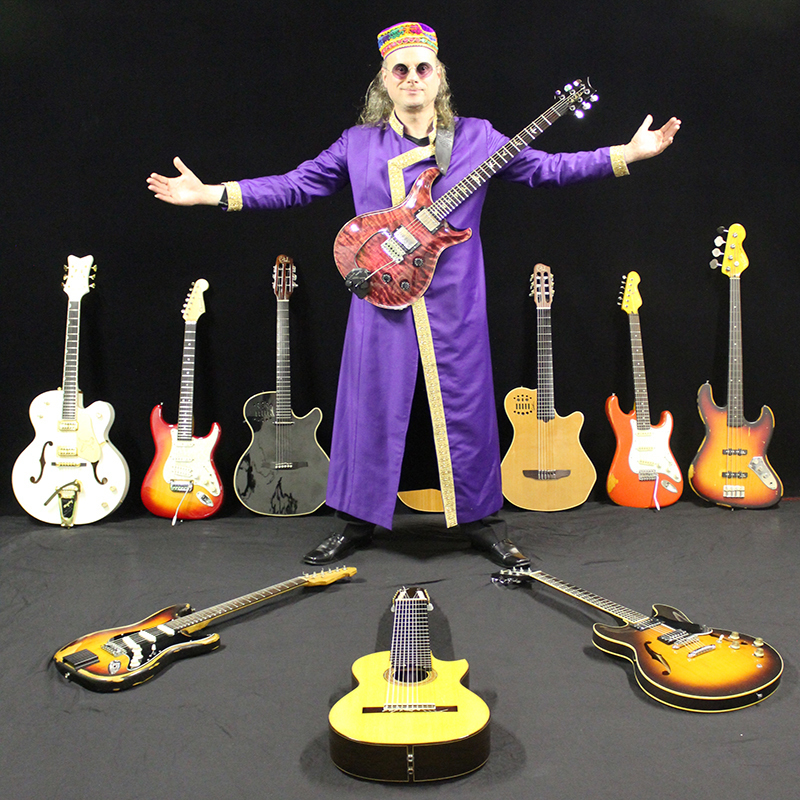 After sold out shows, rave reviews and standing ovations at Adelaide Fringe and Edinburgh Fringe, Matthew Fagan's 'Lord of the Strings', first created for the Billy Connolly tour, returns for ONE night only, taking on the ultimate challenge, to play the 20 greatest guitar solos of all time. Performing Rock Classics, Metal, Classical, Flamenco & Celtic Music with highlights from ELO, Pink Floyd & War of the Worlds. Matthew performs on Paul Reed Smith Electric Guitar, 10 String Spanish Classical Guitar & Godin Synth Guitar. Matthew has toured with Billy Connolly, Natalie Cole, The Buena Vista Social Club and more.